Ian Toms was born in Montreal in 1980, but spent all of his childhood on Prince Edward Island. The first music he can remember listening to was the Beatles red and blue compilations which he still loves. When he was about seven, his parents signed him up for piano lessons. He was a mediocre student and a dismal sight reader, but he loved tinkering away at the piano for hours. When he was eleven his older brother Andrew took up the guitar. He had a twelve string acoustic, but desperately wanted an electric. His parents wanted to make sure he'd stick with the instrument before they got him a second guitar. Andrew, however, had a plan. He convinced Ian to ask for an electric for Christmas. Ian had no idea how to play or even whether he wanted to play, but I went along with it. From the moment they went to pick out his first guitar, he fell in love with the instrument. In high school he discovered jazz and joined a latin/jazz band called Los Guapachosos. Since then he’s earned a Bachelor's and a Master's degree in jazz performance at McGill and has had the chance to play with some amazing musicians including Pat Labarbera, Doug Riley, and Phil Woods. In 2006, he released his first album, OPEN, which was recorded by Andre White in Montreal. 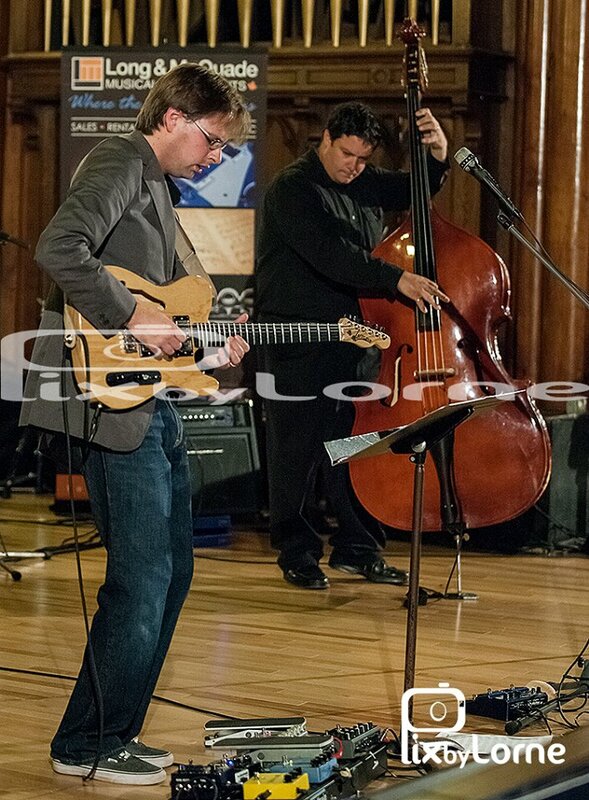 Ian composed all of the music for the CD and was lucky enough to record with some of Canada's great young jazz musicians including Vanessa Rodrigues, Miles Perkin, Rich Knox, and Paul Nedzela. OPEN won Music PEI awards for Jazz Recording of the Year and Instrumental Recording of the Year. It was also nominated for an ECMA. Since moving back to the Island, he has done session work for Teresa Doyle, John Connolly, Meaghan Blanchard, Glen Strickey and many others. This work has resulted in over a dozen Music PEI awards and four ECMA nominations. In 2009, Ian was honored to be chosen as the first ever "Doug Riley Artist" at the PEI Jazz and Blues Festival. Recent performance highlights have included concerts with the PEI Symphony, Symphony Nova Scotia, being the house guitarist for the 2011 ECMA industry awards, as well as performing for Prince William and his wife, Catherine.